We have always thought that the original Kingswood Subdivision has some of the best bargains in the Greater Louisville Area. This subdivision is located about 4 miles east of Mount Washington, KY. It is a little strange, but Kingswood has a Taylorsville, KY mailing address, yet is located in Bullitt County. I am not sure why it is labeled as such since it is several miles to Taylorsville and no clear way to get there. Houses in Kingswood sell in the mid $200’s to upper $300’s. This was a great home that sold in 6 days. Contact the Hollinden Team today to see how we can get your home sold. We picked up 205 Princess Ct about a month ago through the foreclosure process. This was one of the rare foreclosures in the Kingswood neighborhood. The house sits on a .8 acre lot at the end of a cul-de-sac with trees for a backdrop. The yard had not been maintained for the last couple of years and was overgrown. Ryan Wilson with Green Thumb Landscaping made quick work of cutting trees, grinding stumps, trimming bushes, and of course, cutting the grass. The kitchen appliances had magically disappeared before our possession. We decided to put in top of the line Maytag Stainless Steel appliances. You can see that this is a high level kitchen by the wood encased hood over the range. There is a lot of architectural design throughout this house with vaulted ceilings in 3 rooms upstairs. This house has no carpet as all flooring is oak hardwood or 16” ceramic tile. With 4200 square feet, there is plenty of room to spread out. There are 4 bedrooms with the basement bedroom probably the largest of all. 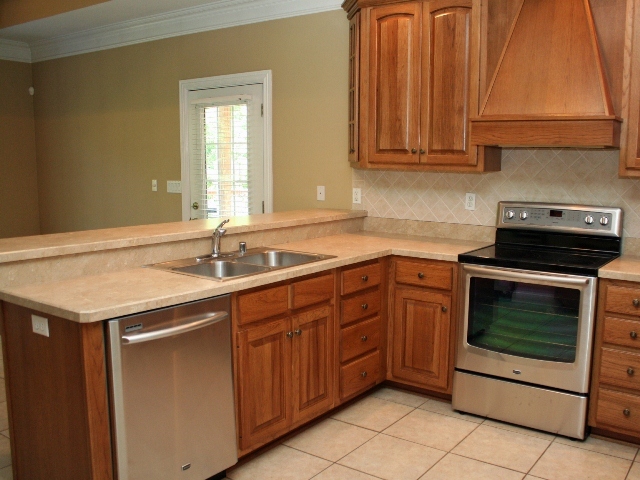 There is lots of potential for entertaining in the basement as the wet bar has already been built. The fireplaces on both levels add to the coziness. In addition to the pictures that we have posted online, we also made a 205 Princess Court video with our “flip” camera. The video gives a little different perspective than normally seen in real estate virtual tours. 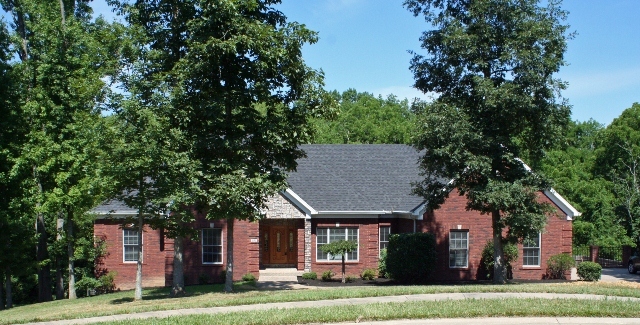 If you would like more information, contact Tim Hollinden with The Hollinden Team in Louisville KY at 502-429-3866.